1. 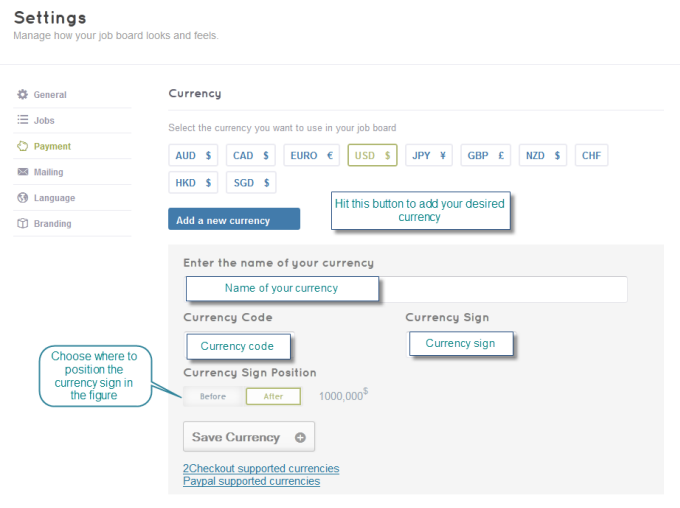 Click Engine Settings > Settings > Payment then locate Currency. Please note that if you choose to use Paypal, 2Checkout or Google Checkout in payments, you will need to check if your currency is supported by these payment gateways. If it is not supported, you may use Cash method.